The fact that Julian Kyhl sent us a short text rather than a curriculum vitae is typical of the 32-year old carpenter, designer (and father of a daughter) from Denmark. After all, a linear biography providing information on his schooling, university degree and his own studio would not seem consistent with the go-getting free spirit, who has no desire to restrict himself to a career as a designer: “I have no idea how things are going to turn out for me,” writes Kyhl. 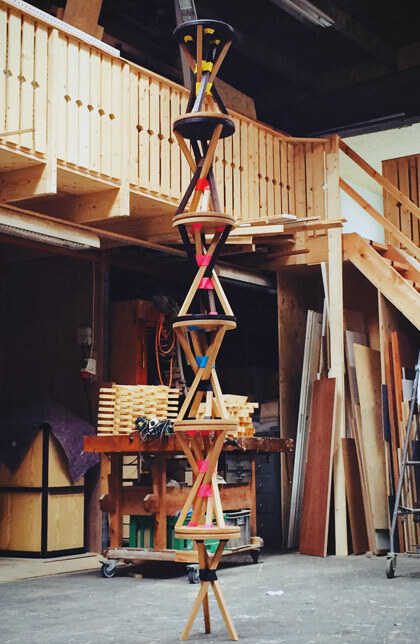 We first took notice of Julian Kyhl during a visit to Peter Klint’s carpentry cooperative in Copenhagen and he held out a wooden stool to us, three legs braced with 3D-printed connecting elements. I live in Copenhagen and I love my city. I’d like to stay here and visit other places in the world. If the distance to Copenhagen would be ok, I could move somewhere remote in a large forest. Some of the greatest designs around are not credited to any particular designer. I love products that grows out of a specific purpose and become beautiful in the process.Instead of choosing one individual, I would like to pay a special tribute to a product, whose inventor I do not know: the canned croissant. Love for new thoughts and experiments, some degree of esthetic sense. To me design is more than product fashion. All designs are relative to the time we live in. I love whenever a designer gets something more than the current trend into their products and creates something archetypical. I enjoy acting on my impulses. When I get into a new project, I like to do nothing else but work and explore that. It has yet to come. I aim to risk it happening. Being with my closest friends and family and acting on my will. That a good idea is not enough. Arabidopsis thaliana. I’m not sure if it qualifies as a flower, but it has some brilliant qualities. I mostly listen to sci-fi audiobooks. My most detested achievements have been maculated or suppressed. I usually have a period of time, where I am fed up with whatever I have been working intensely on for long periods of time. Sometimes it passes. Some kind of money-making talent. 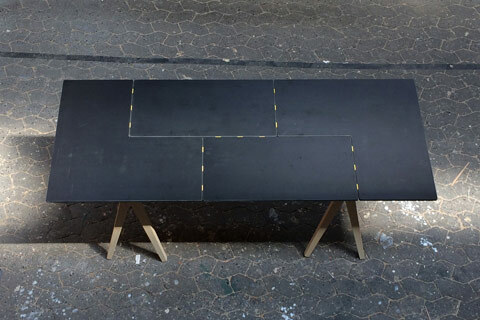 Tetris-table: Monolith” (laminate/PLA) can be enlarged by adding new blocks. 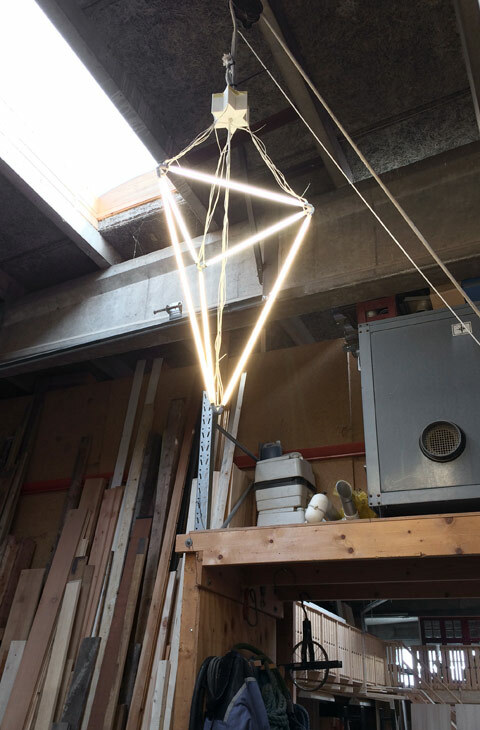 As a young boy Kyhl (born 1982) became familiar with alternative ways of working such as those practiced in the carpenter’s workshop in the old North Harbor in Copenhagen, where he currently works. At the time he participated in a state-sponsored youth program that allowed him to try out different lines of work such as organic farming, weight training, and painting. 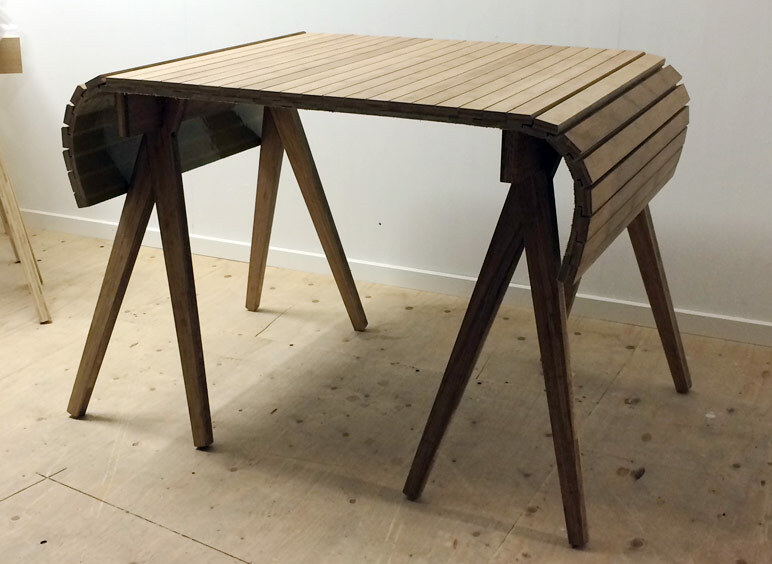 In 2000 he began an apprenticeship as a carpenter, which he successfully completing four years later. It was in connection with this that he was awarded a bronze medal by Queen Margrethe II of Denmark. 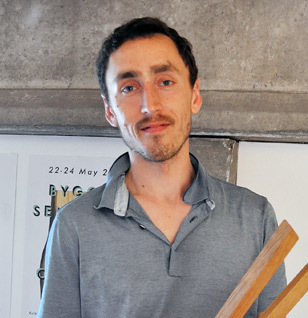 From 2006 to 2014 Kyhl studied Designs and Innovations Engineering at Danmarks Tekniske Universitet (DTU) in Copenhagen – but did not finish his studies with a qualification. 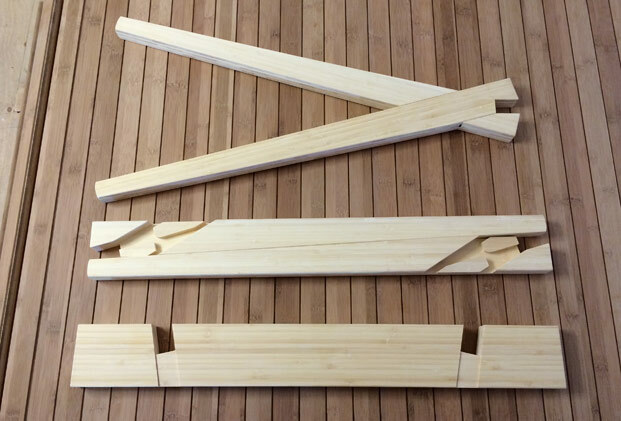 During this time he began working in the “Byggeselskabet Maj”, where he got to know the carpenter Peter Klint, who is also member at the cooperative in the North Harbor of the Danish metropolis, the one where Kyhl now works.